Total Meeting Space: 1,900 Sq. Ft.
Largest Meeting Room: 1,250 Sq. Ft.
Total Meeting Space: 8,850 Sq. Ft.
Largest Meeting Room: 4,200 Sq. Ft. 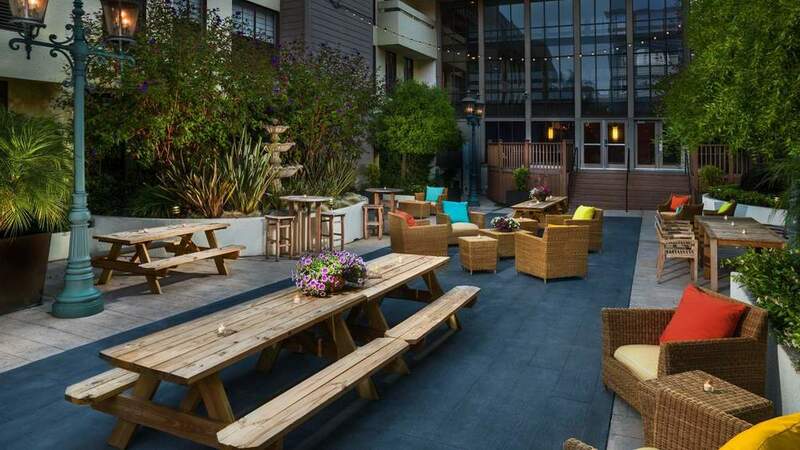 This luxurious Fisherman's Wharf Hotel offers more than 8,000 square feet of flexible Meeting and Function space making this Kimpton Hotel the ideal setting for your next Meeting or Social Event. 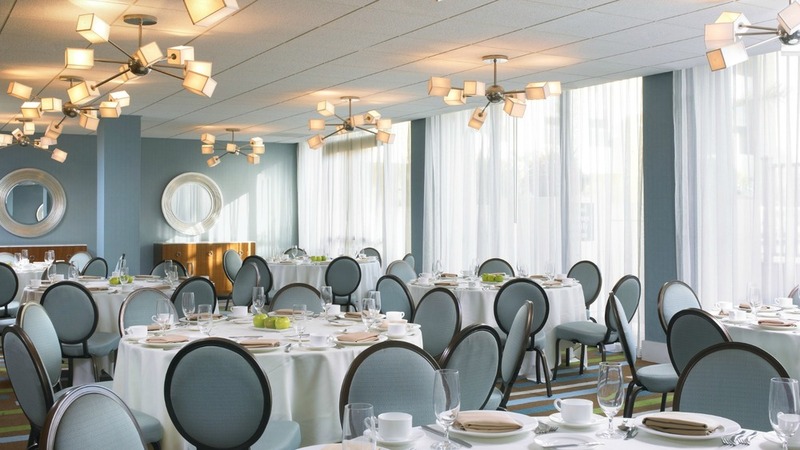 Event Planners will find the column-free Golden Gate Ballroom, the largest Meeting room on the waterfront and Fisherman's Wharf, can be divided into two or three rooms to accommodate up to 350 people for Meetings and up to 500 for a reception in a variety of styles and configurations. Events can also be held in the adjacent courtyard that separates the hotel from the historic Del Monte Cannery Building. If your guests or delegates need hotel rooms, the Argonaut offers some of the most picturesque accommodations in San Francisco. Many of their rooms and suites provide stunning views of such landmarks as the Golden Gate Bridge, the SF Bay, the Coit Tower and the Transamerica Pyramid Building. Total Meeting Space: 12,204 Sq. Ft.
Largest Meeting Room: 4,068 Sq. Ft.
Total Meeting Space: 3,196 sq. ft.
Let Zoe craft San Francisco meetings that are unique and memorable. With her boundless energy and refined sensibility, Hotel Zoe is bound to impress at your next meeting, wedding, or social event. Hotel Zoe offers more than 2,000 square feet of flexible meeting and function space, making this Noble House Hotel the ideal setting for your next meeting or social event. Total Meeting Space: 18,341 Sq. Ft.
Largest Meeting Room: 6,696 Sq. Ft. 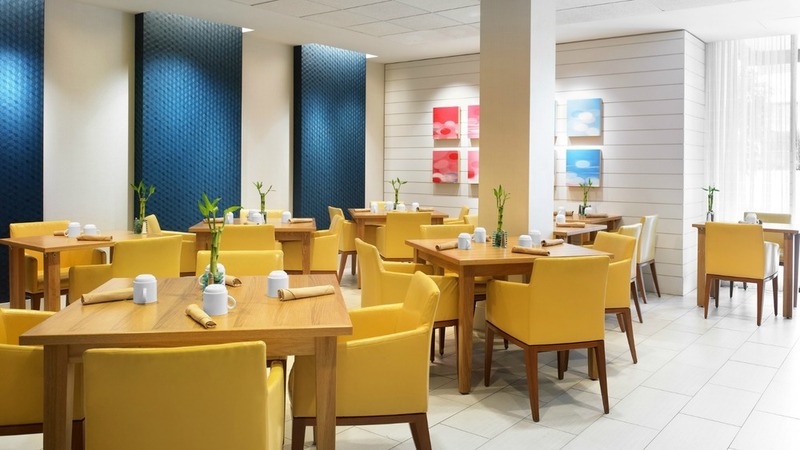 Inspired by its location in San Francisco's #1 destination, Hyatt Fisherman's Wharf has just completed a one million dollar renovation of the hotel and 19,000 square feet of function space. The new décor reflects the hotel's proximity to Fisherman's Wharf, incorporating the silver shimmer off the water's surface and the netting used for fishing. The new meeting space showcases a contemporary, pleasant look and feel. 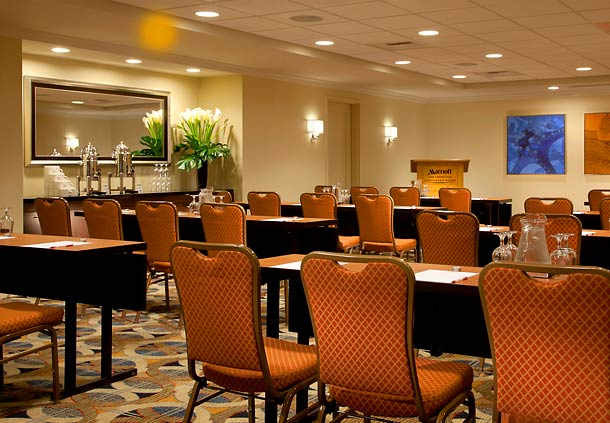 The Hotel provides a variety of flexible and modern meeting venues and conference rooms. 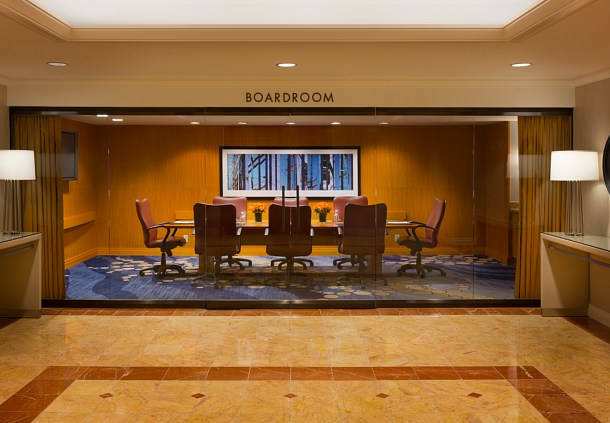 From ballroom to boardroom, the tastefully appointed meeting facilities at Hyatt Fisherman's Wharf can be set up in just about any style to satisfy your unique requirements. 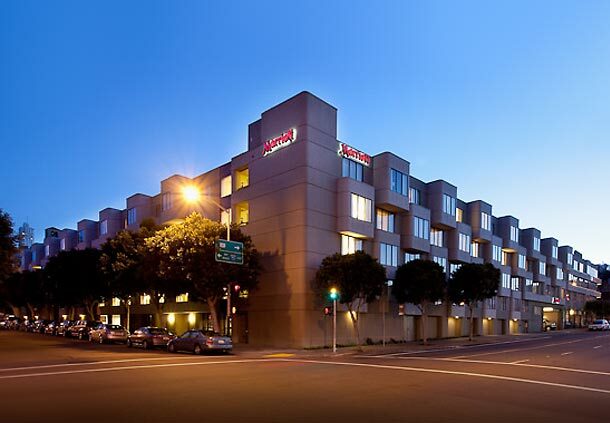 Situated near leading businesses and conference centers like the Moscone Conference Center, the hotel is an ideal choice for business travelers. All meeting and conference rooms are located on the same level, just off the elevators providing convenient access for attendees. To ensure your event exceeds your expectations, all of our facilities offer individual controls for heat / air conditioning, sound, music, telephones, multiple electrical / microphone outlets, audiovisual equipment, and 100V single-phase and 220V single-phase electricity, and high speed Internet - wired or wireless. 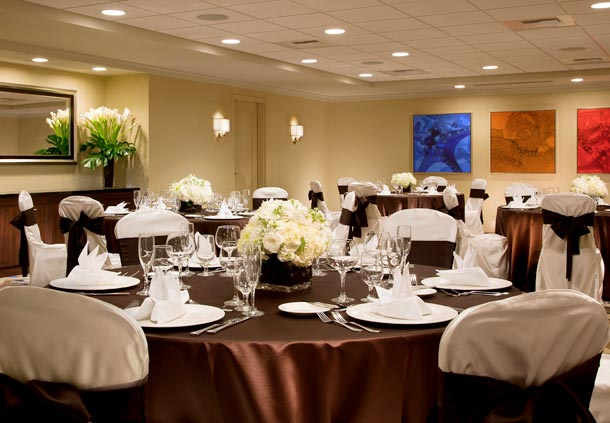 The Presidio Ballroom is the largest meeting venue at Hyatt Fisherman's Wharf offering an elegant setting for any event. Skylights providing natural daylight and a beautiful fireplace add glowing warmth to this spacious room. Host a welcoming session to kick off your annual employee conference in a theater-style set up for 275 attendees, or plan your final gala with a formal seated banquet for 250 guests. The adjoining North Point Lounge with a domed glass skylight, fountain, fireplace and built-in bar works perfectly for all your pre-function needs, from event registration, continental breakfast buffets prior to a morning meeting, to an evening of cocktails and entertainment. Comfortable seating areas throughout the open room provide every group plenty of room to socialize with ease. The C.A. 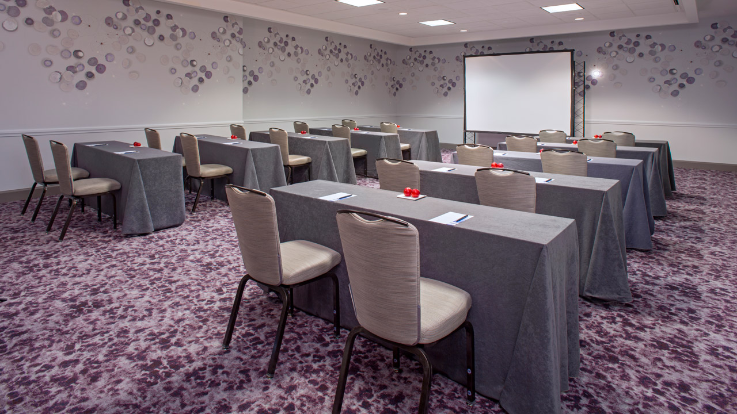 Thayer room is a versatile conference space for any number of meeting styles. Spacious enough to accommodate 180 for a classic reception, this room also allows you to hold training sessions in a classroom setting for 120, committee meetings in a U-shape for 45, even a formal banquet for 60 guests. 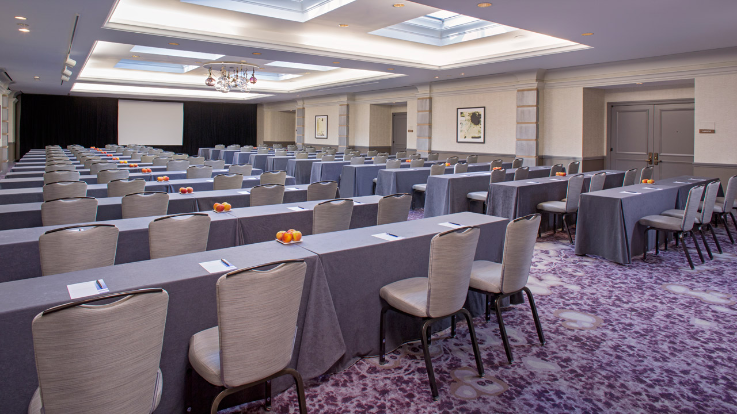 The Amador / Marin / Solano / Balclutha room are conveniently situated alongside the Presidio Ballroom. This collection of mid-sized meeting rooms is ideal for breakout sessions from the main event. Gather together teams to create new ideas for company growth in a hollow-square formation for 40, or hold continuing education sessions in a theater set up for 75. The Larkspur / Sausalito / Tiburon group of rooms borders one side of the Presidio Ballroom offering inviting spaces for hosting more intimate events. McCormick & Kuleto’s Seafood & Steaks is located in San Francisco’s historic Ghirardelli Square. Make your next corporate event or social gathering an experience to remember! We will work with you to create an exceptional, custom designed culinary experience with an array of seafood, meat and vegetarian dishes to impress your guests. In addition, we can assist you in planning and executing your business meeting, including organizing your audio visual needs. Our goal is to exceed your expectations and create an exceptional and memorable experience sure to impress your guests. Whether it is a business meeting, birthday party, anniversary, wedding rehearsal dinner or holiday party, choose McCormick & Kuleto’s to be your event planning partner. We hope to hear from you soon! Total Meeting Space: 2,856 Sq. Ft.
Largest Meeting Room: 1,450 Sq. Ft.
Pier 2620 Hotel is ideal for small groups up to 80 people with complimentary WiFi in all meeting spaces. 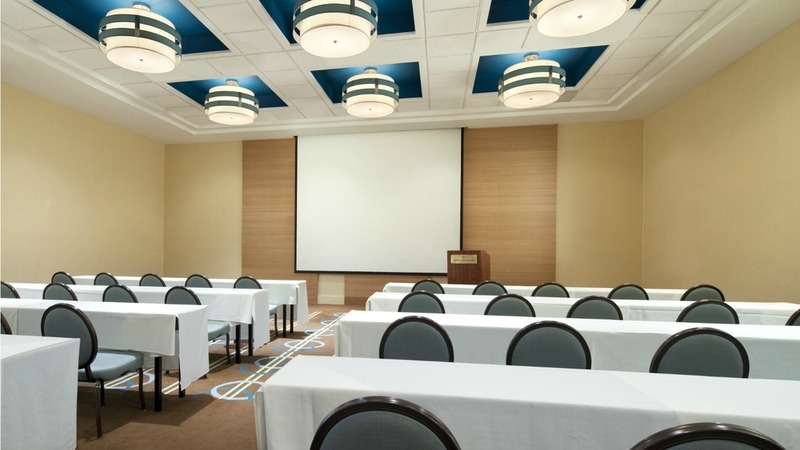 The hotel has four rooms totaling over 2,800 square feet of flexible meeting space, arranged to fit your specific needs. 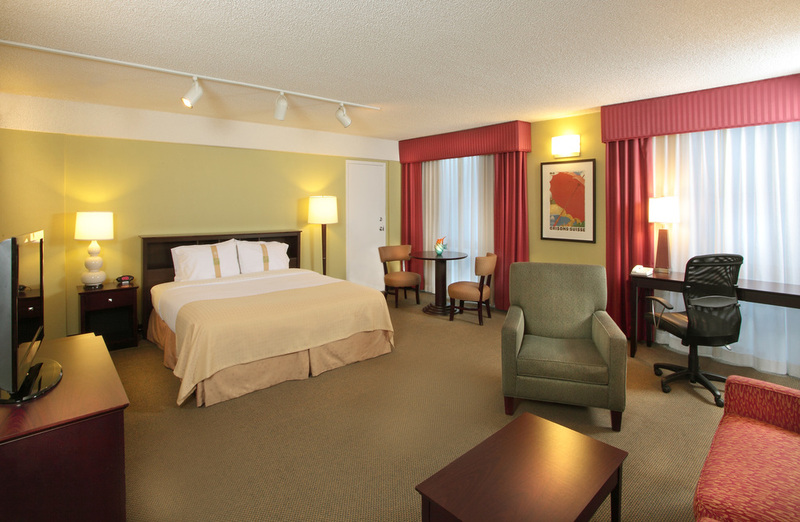 The rooms are conveniently located on the main floor with natural light. 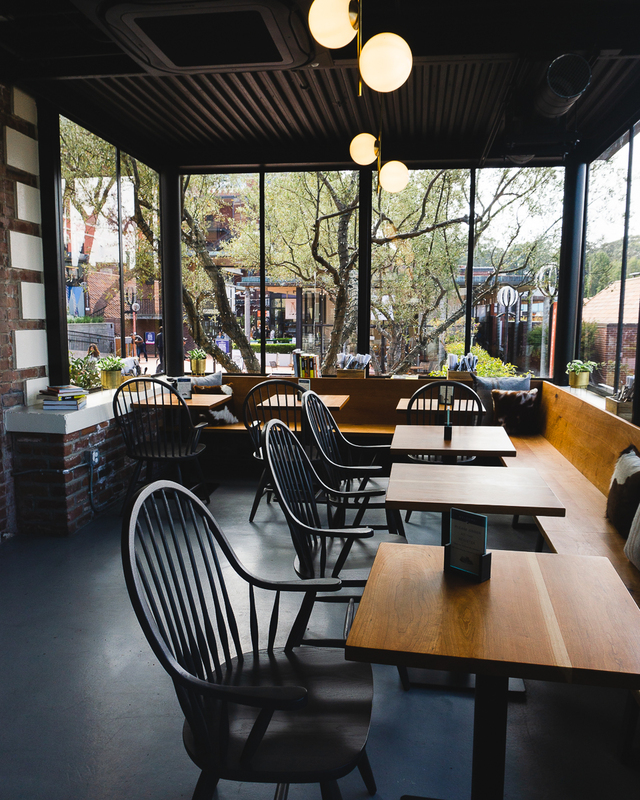 Their 4,000 square feet of outdoor courtyard space accommodates guests in versatile space, ideal for luncheons, receptions and al fresco dining. 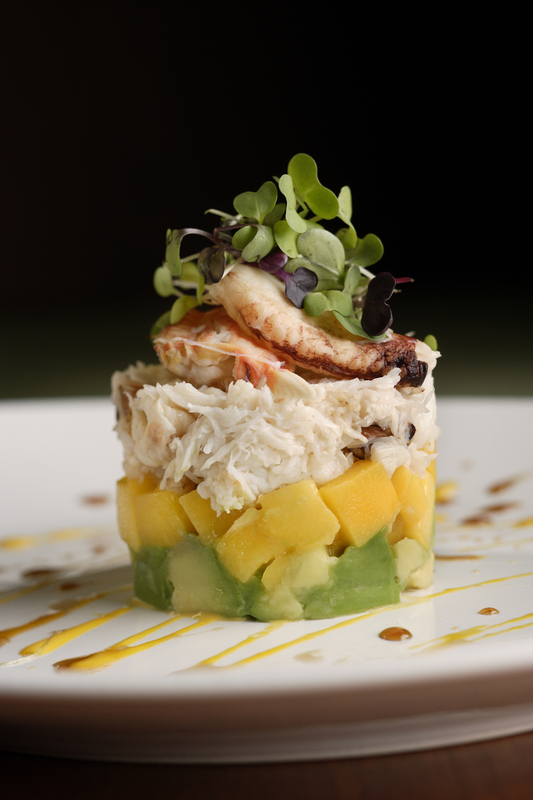 Creative and customizable banquet menus featuring organic and locally sourced ingredients. Total Meeting Space: 8,835 Sq. Ft. The hotel offers exceptional event menus that are sure to inspire any corporate gathering or meeting. Distinctive meeting rooms in Fisherman's Wharf total 7,000 square feet and accommodate up to 250. 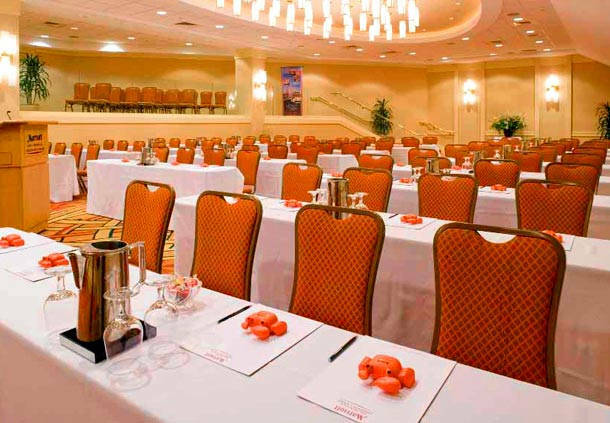 Their meeting venues are in the heart of Fisherman's Wharf close to popular San Francisco attractions. Host a meeting in the Executive meeting room with a built-in plasma screen for presentations. Data port workstations provide ideal Fisherman's Wharf meeting venues for technical presentations. Enjoy natural lighting, modern amenities and a sharp atmosphere that will dazzle your guests. Total Meeting Space: 10,405 Sq. Ft.
Largest Meeting Room: 2,463 Sq. Ft. The excellent location of Sheraton Fisherman's Wharf Hotel puts you in the heart of San Francisco's most popular neighborhood. You'll be steps away from things to do in San Francisco, including Pier 39, Ghirardelli Square, Alcatraz Island, and the world famous San Francisco Cable Car lines. Enjoy the fresh air with a swim in our outdoor heated pool or relax with a cocktail at our outdoor living room – an extension of our lobby. 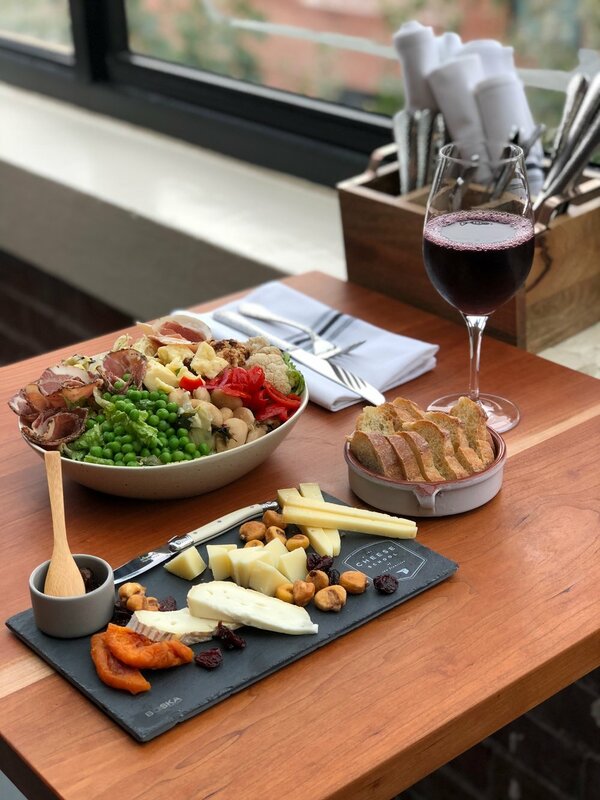 Our outdoor seating features fire pits where you'll enjoy San Francisco’s year round temperate climate and our PAIRED program featuring wine, beer and small plates. At the end of the day, sink into the cozy comfort of the signature Sheraton Sweet Sleeper® Bed. Our San Francisco meeting and event space has been transformed into an undiscovered gathering place for San Francisco weddings or meetings. 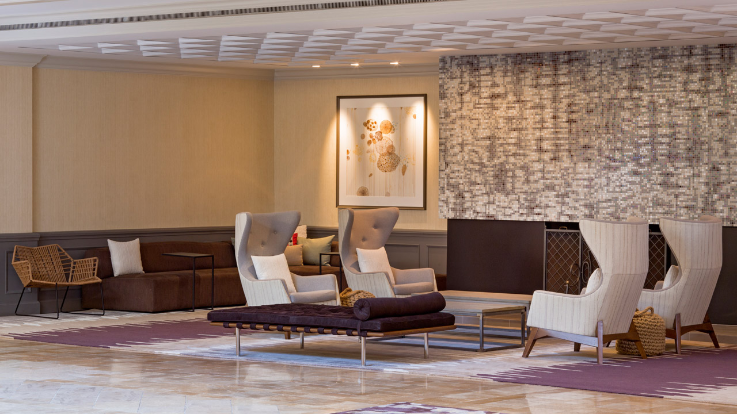 Our open spaces, like the communal lobby and outdoor fire pits make it an ideal venue in San Francisco for conferences, meetings, and social events. Enjoy friendly surroundings with over 9,000 square feet of flexible Fisherman's Wharf meeting space. Select from one of our three ballrooms, each featuring over 2,220 square feet of space. Our two boardrooms provide the perfect spot for small meetings. The SS JEREMIAH O'BRIEN is one of two remaining fully functional Liberty ships of the 2,710 built and launched during WWII. The O'BRIEN has the distinction of being the last unaltered Liberty ship and remains historically accurate. Moored at Pier 45, Fisherman's Wharf, she is a premier San Francisco attraction. Just 2 miles from the Moscone Convention Center, our Fisherman's Wharf hotel in San Francisco features 7,000 square feet of conference and wedding space, beautiful views and local event planning experts. Whether you are in town for business or pleasure, this Fisherman's Wharf San Francisco hotel offers guests an unsurpassed locale in one of the world's great cities. Discover premier accommodations and a leader among San Francisco hotels near Fisherman's Wharf when you plan your next visit to the Bay Area. The Cheese School of San Francisco is the only independent institution of its kind in the nation. They are devoted to helping you maximize your enjoyment and appreciation of cheese. Their philosophy is “eating is learning,” and they treat their students to a cornucopia of education and tasting events, both structured and informal. Founded in 2006, The Cheese School of San Francisco and its roster of expert instructors are available for corporate events and private parties. 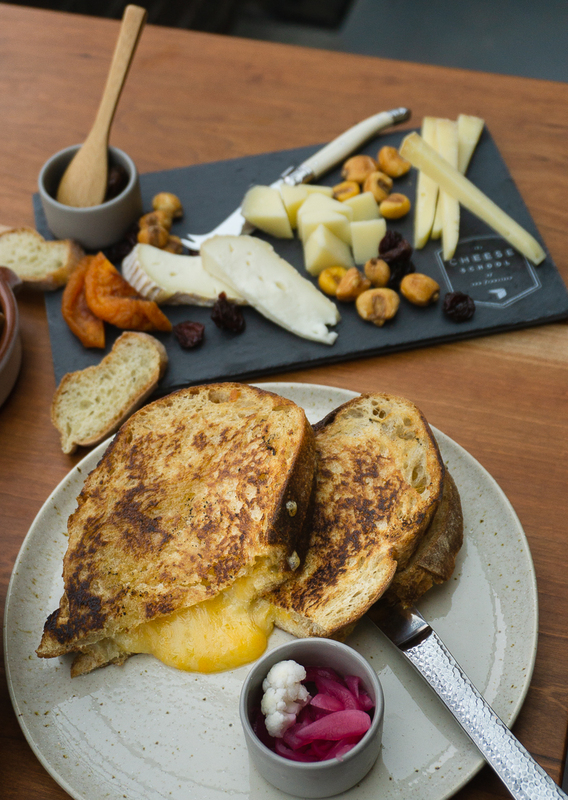 In 2018, The Cheese School moved to San Francisco's historic Ghirardelli Square and now boasts a full café, cheese and charcuterie counter, and retail section, all while still playing host to the same classes, catering, and private events they are already known for. Events can be held at the Cheese School’s classroom facility or off-site. Classes and events are designed to be fun, informative, and most of all, delicious. 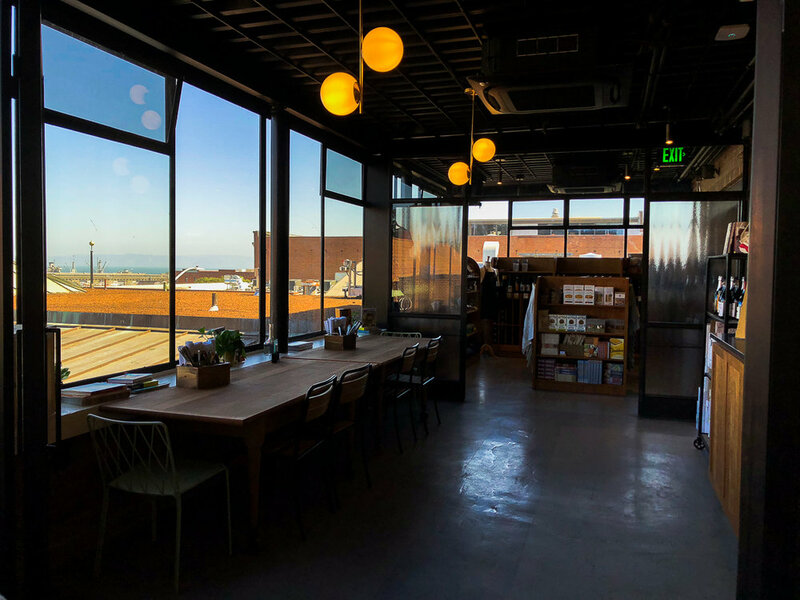 The cheese school has two event spaces with amazing Bay views. 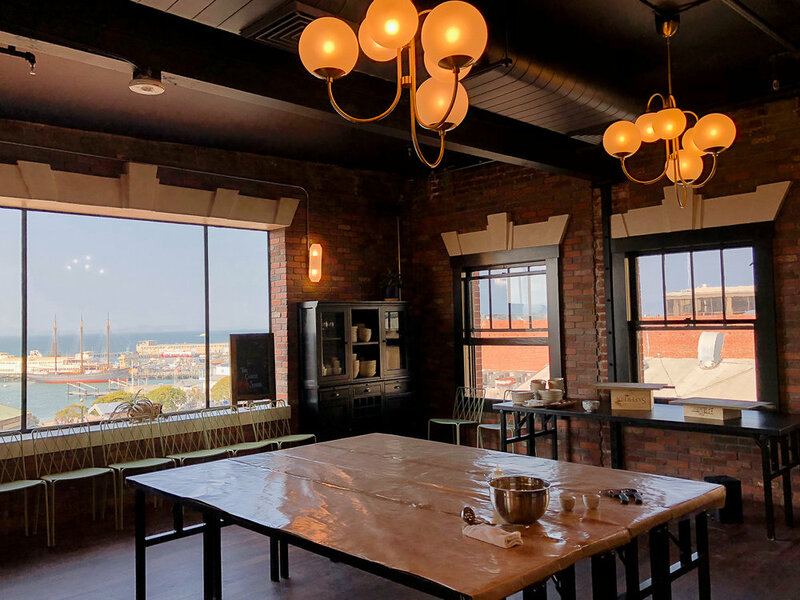 #1 The second floor, aka: "Curds" Room, plays host to some of their most popular private classes, such as tasting classes, fondue party, grilled cheese party, pizza making, pasta making, cheesemaking, and Italian kitchen. The upstairs space is good for larger parties, 10 - 60ppl. #2 The "Whey" room downstairs is for smaller groups, max 12 ppl, and can play host to similar classes: Tasting classes, fondue party, grilled cheese party, pasta making, and cheesemaking. Yacht Charter Co is established as the premier Luxury yacht charter in the San Francisco Bay Area. 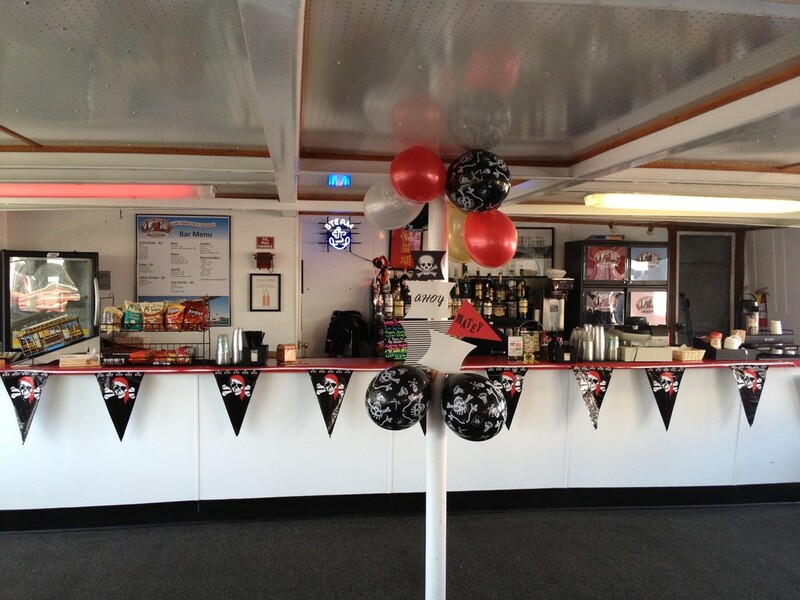 We can accommodate parties from 1-300 guests in comfort & style. Our expert planners will match you up with the perfect charter boats and yachts to fit your needs. 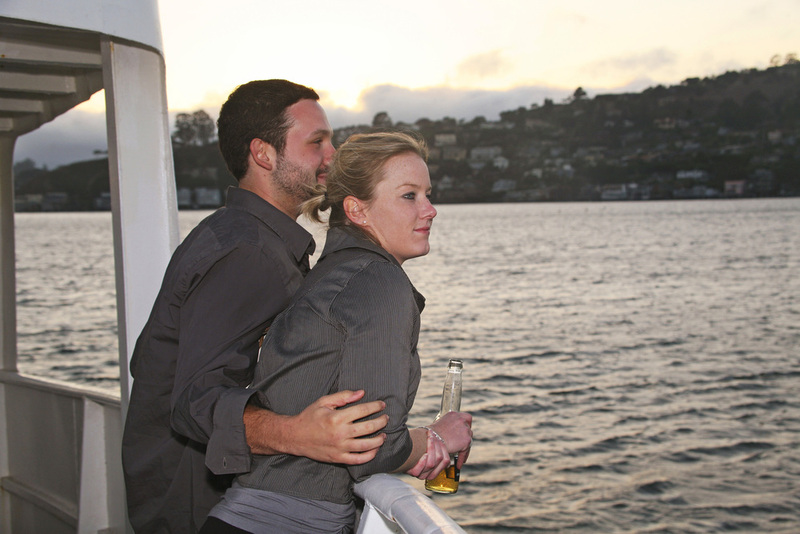 We will determine the right dinner cruise for you based on personal preferences, food & beverage service, and budget. Have your next event aboard your own private dinner boat. Perfect for weddings, corporate events, social gatherings, birthdays, bar/bat mitzvahs...or any occasion. Whether it's an intimate gathering or a grand gala for up to 300 guests we have the perfect charter boats and dinner yachts for you. Cocktail parties, informal luncheons, or formal sit down dinners, we do it all. Once aboard the yacht you have your own Captain, Crew Chef and professional staff to entice your guests with imaginative cuisine and the finest service. Your guests will marvel at the panoramic views aboard your charter yacht as you gently cruise the waters of San Francisco Harbor and connecting Bay Area cities.